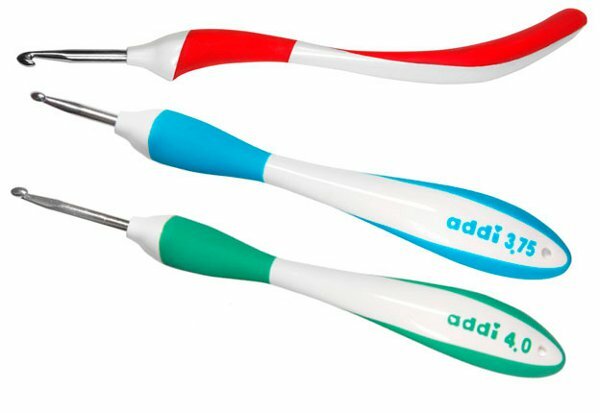 Addi Swing Crochet Hooks have an aluminium hook and an ergonomically shaped plastic handle - approx 16cm in length. Available in sizes 2mm through to 8mm inclusive. Each size in the Addi Swing range has its own colour coded handle.